Junior School is a time for your daughter to lay the foundations of good learning habits and life skills. Combining the advantages of both a standalone campus and the proximity of the Senior School facilities, the Junior School is the ideal environment for our students to develop a strong sense of belonging and purpose. Students do not reach their potential by accident, it comes as a result of a student’s entire educational journey, commencing in the Junior School. The exposure to a range of experiences, an innovative and dynamic curriculum, and the support provided by the expert teachers, lays the foundations for a life-long love of learning. A low threat, high challenge philosophy underpins our approach to learning and teaching, a philosophy that we believe creates the best conditions for our students to learn. Parents entrust us with the critical responsibility of building the foundation skills and competencies that our students require in order to successfully navigate a rapidly changing, fast pace future. Our Early Years team design educational experiences that provide the critical foundations that are essential if students are to successfully progress to more complicated concepts and tasks in future years. Clearly articulated, individualised learning goals and an engaging, supportive and stimulating learning environment provide the groundwork for academic foundations to be established. Students benefit from a rich learning environment. Our small class sizes allow us to tailor academic programs to meet the needs for each girl. Our academic programs, based on the Australian Curriculum, draw on the expertise of our Advanced Learning Centre staff, allowing us to advance the leaning of all students. No two learners are the same so our teachers aim to create the conditions for learning that inspire and develop inquisitiveness, curiosity and courage. We take the time to understand each girl as a learner – her strengths, weaknesses and interests in order to help her thrive inside and outside the classroom. A growth mind-set enables students to face new experiences with an optimistic outlook, to have the capacity to be resilient, and to view challenges as achievable, when provided with the necessary strategies, support and scaffolding. Our mindfulness and positive psychology programs ensure that we are connected with the social and emotional needs of students, and allows us to maintain a high standard of pastoral care. A partnership with Swinburne University has seen the ARISTOTLE Emotional Intelligence Program introduced to inform and educate our students about the role emotional intelligence plays in the learning process and within the context of personal growth. 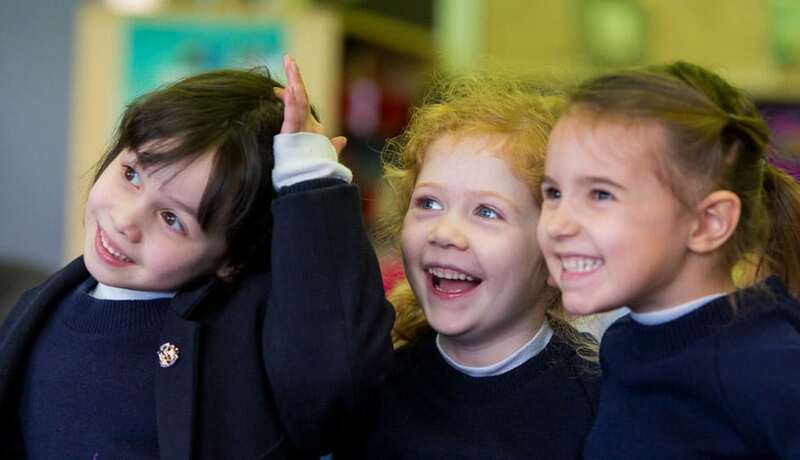 The programs and opportunities on offer to our Junior School students are many and varied, and designed to build independence, self-esteem, interpersonal and social skills and the ability to work collaboratively with others. Students can expect to participate in a cohesive outdoor education program, art and music events, sporting carnivals, STEAM Clubs, coding and robotics programs, camps that includes interstate travel for our year 6 students, as well as social justice days and environmental initiatives, enrichment experiences and student buddy programs. Each student is unique, with her own developing set of competencies, qualities and values. Our role as educators is to provide an environment that embraces and champions individuality, and provides opportunities to grow at their own pace, while learning the social and emotional life skills that empowers them to interact and collaborate effectively with those around them. Strathcona’s commitment to a rich music program provides all girls with an opportunity to develop the musician within. In addition to co-curricular music activities, classroom based activities include all Year 2 students learning a string instrument and playing in ensembles. Older students can learn a brass, percussion or other instrument and participate in ensembles – the Junior School String Orchestra, Chamber Strings, Brass Ensemble and Concert Band. There are choirs for Years 3 and 4 and Years 5 and 6. Together with solo musicians, these choirs perform during concerts and soirées, at whole-School events and at community events. Students involved in the co-curricular Speech and Drama program also take part in concerts, soirées and eisteddfods. The Digital Technologies curriculum has been developed on the notion that the students create, rather than consume. Devices including iPad, laptops and robots are considered learning tools, allowing our students to be creative and collaborative, opposed to merely providing them with a simpler way to do things. Our students are introduced to computational thinking to empower them to solve problems in creative and original ways. Ultimately, we want our students to know the tools and resources available to them that can best assist them with their learning. 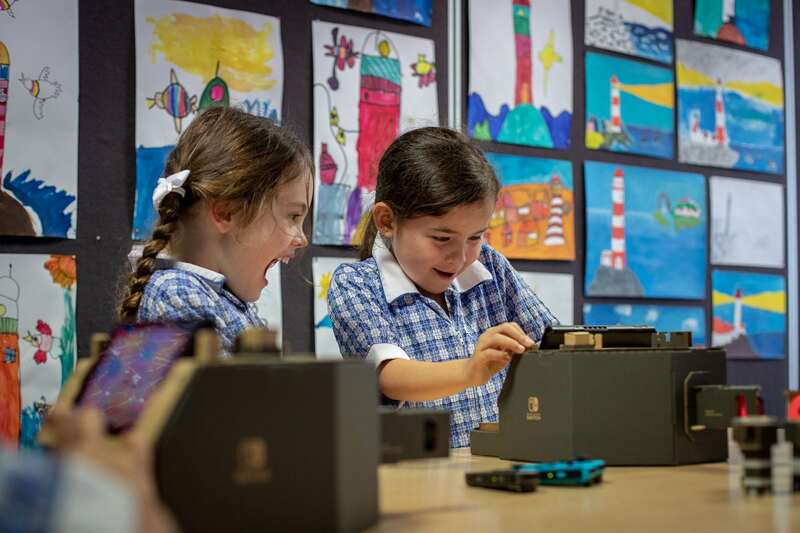 Student learning experiences are enhanced by Junior School facilities, specifically designed to meet the requirements of primary aged students. Light-filled classrooms offer flexible learning spaces, access to outdoor learning areas, reading nooks and the latest in information technology. Our outstanding specialist facilities include a library, curriculum extension areas, art studio, multi-purpose activity room, music room and individual studios for instrumental lessons. The move from primary school to Year 7 can be a tricky time for many students. At Strathcona, we begin to familiarise our students in Year 6 in order to make the transition as smooth as possible. While starting a new school at Year 7 can be a challenging time, Junior School students have the advantage of familiarity with the Senior Campus. During Semester 2, all Year 6 students participate in a transition program including activities in the Year 7 classrooms, Senior Library and the Food Technology area led by the Year 7 Coordinator and Senior School staff. The Junior School curriculum is designed to foster curiosity and to build strong foundations in literacy, numeracy and research. Our integrated approach to curriculum design incorporates STEAM (Science, Technology, Engineering, Arts and Mathematics) to ensure we are equipping our students with essential 21st century learning dispositions, such as problem solving, creativity, collaboration, critical thinking, digital competency and persistence.